Rising to a height of 7,556 meters (24,784 feet), Mt. 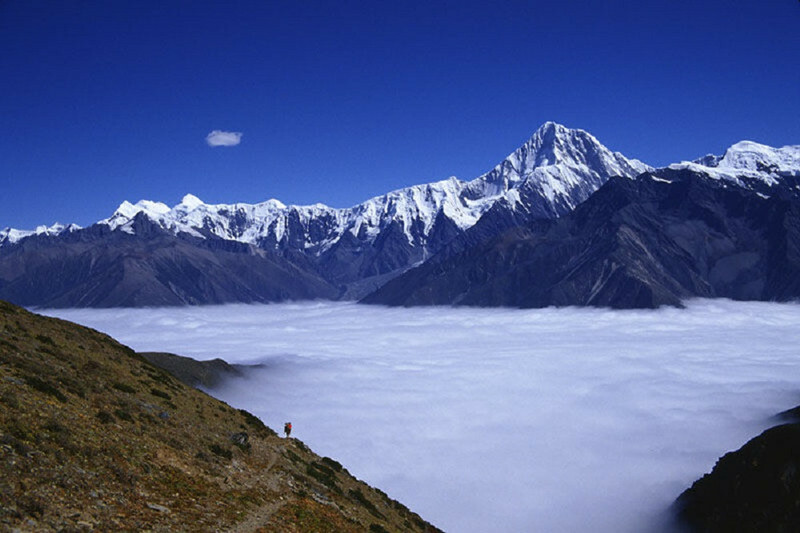 Gongga towers above all the other mountains of Sichuan Province, thus earning it the moniker “King of Sichuan Mountains”. 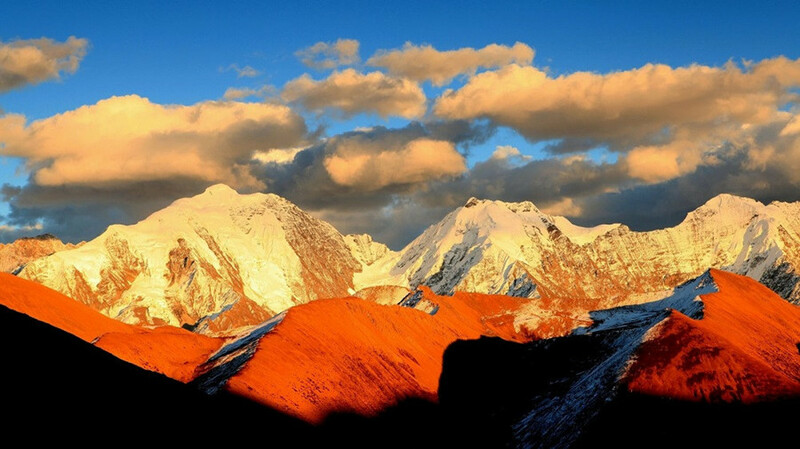 It is also one of the most sacred mountains to Tibetan Buddhists in Sichuan. 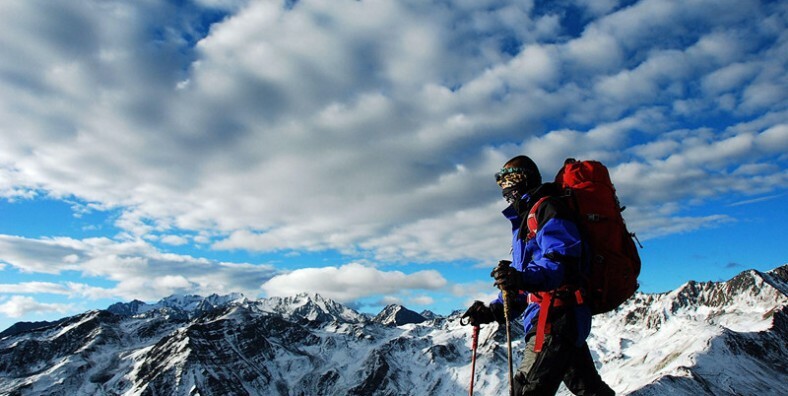 This adventure trekking tour combines the experience of real Tibetan culture with the breathtaking views. You may also visit during the rainy season in July, when you can see wildflowers spreading over grasslands everywhere, but clouds may obscure your views of the high mountains, and you should be prepared to be wet. 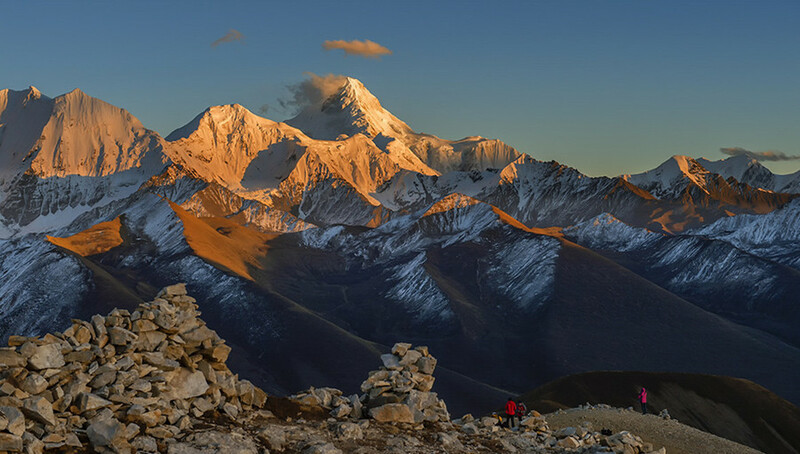 Visit Minya Konka(Mount Gongga) to view the most sacred mountains to Tibetan Buddhists in Sichuan. 3 days’ trekking from Yulongshi, Yak Ranch, Gongga Gompa to Shangmuju Village. Night camping in the tents and 1 night Monastery stay. In the morning, we spend 6-7 hours on bus driving into the Hengduan Mountains to Kangding, one of Sichuan’s ‘Wild West’ cities. On the way we visit the famous Luding Bridge, a unique structure built in 1706, with nine iron chains spanning the roaring Dadu River. Head from Kangding to Yulongshi Village. This is a Tibetan community, located in a remote valley in the Minya area, where view becomes more and more open as we drive deeper. Calcium lake is a series of calcified lakes located in the southwest of Minya konka. It has eight colorful lakes, stretching 900 meters, from the mountainside to the highest point of 4,000 meters. Family visit if available. Trekking trip starts. Walk from Yulongshi to yak pasturing meadow with the 4668 meters. Two hours later, we will reach the top. Having the panorama of Minya Konka that outshines the other peaks around. Have lunch here and then downwards for camping. Appreciate the glowing peak at dusk before sunset. Head to the green mountain valley and luxuriant virgin forest. About two hours later, we will arrive at Gongga Gompa, a Tibetan buddhist temple with the Kargyupa sect and a common basecamp, used by mountain climbers for the Minya Konka expedition. From here you can see the Minya Konka. That’s a lot closer than we saw at yak farm. Optional stay here for overnight or go to southwest Basecamp of Minya Konka for summit. Watch sunrise and then leave Gongga Gompa. Three hours later, we will reach Tsemed Camp to catch our vehicle to Shanmuju for a stopover(guesthouse or camp) for next destination or back to Chengdu. Back to Kangding via Xinduqiao. Overnight in Kangding. Drive back to Chengdu. Service ends.